Good lord, you're making this hard! I've been sticking with GWTW but I think it's time to change. I'm going with The Wizard of Oz this week. And continuing with my trend of voting against GWTW, I'm voting for The Wizard of Oz this week! Frankly John, I don't give a damn about GWTW. Wizard for me if only to dethrone that other book. Well, fiddle-dee-dee! Never read The Wizard. I'll stick with GWTW. 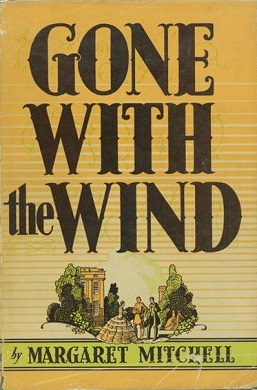 Love both but I'll stick with Gone With the Wind. I'm very fond of the Wizard of Oz but in comparing the two, I have to stick with GWTW. I won't think about it now, I'll go crazy. I'll think about it tomorrow...after all, tomorrow is another day. I have not read or seen either! How I survived this long is a wonder. Despite my fear of monkeys, I will have to go with the Wizards of Oz. I have seen a junior high production of the play. I vote for the Wizard of Oz with spirited vigor! Barbara: had I known you had never seen the movie when we were over, our night could have been quite different...I could have recited it for you.